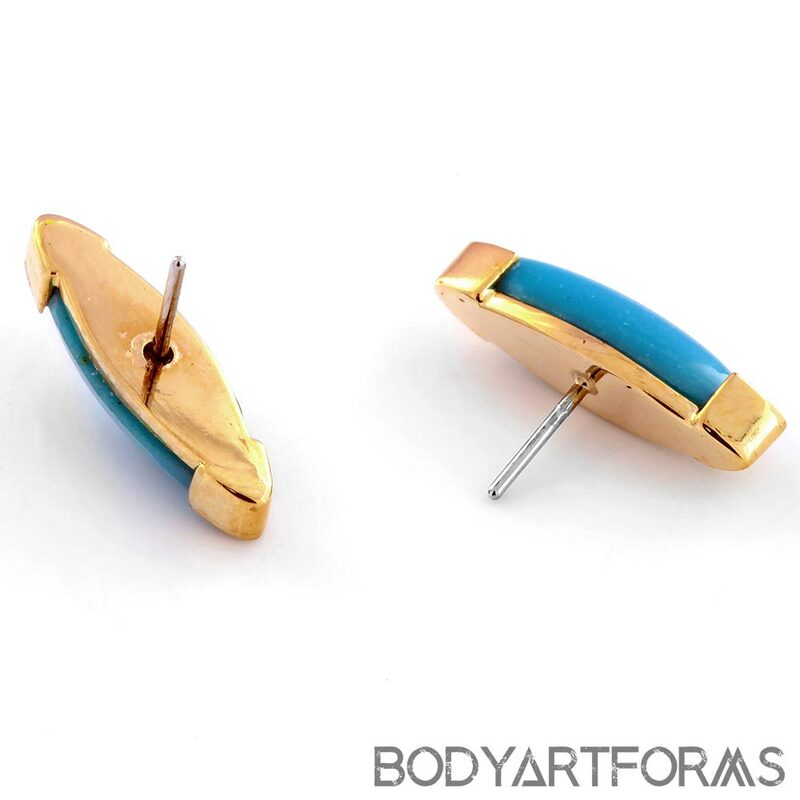 Quetzalli has designed this simple seed threadless end from solid 14K gold settings with an oblong turquoise inlay. 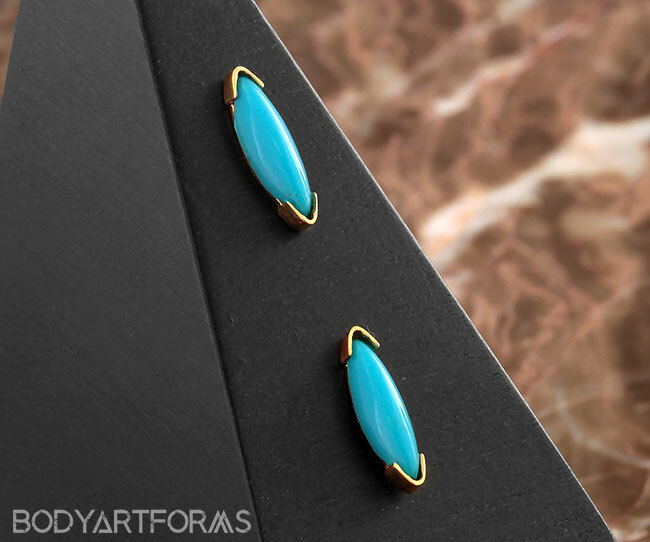 A great accenting piece! The Seed threadless end is made in solid 14K yellow gold or white gold with a stainless steel threadless post. 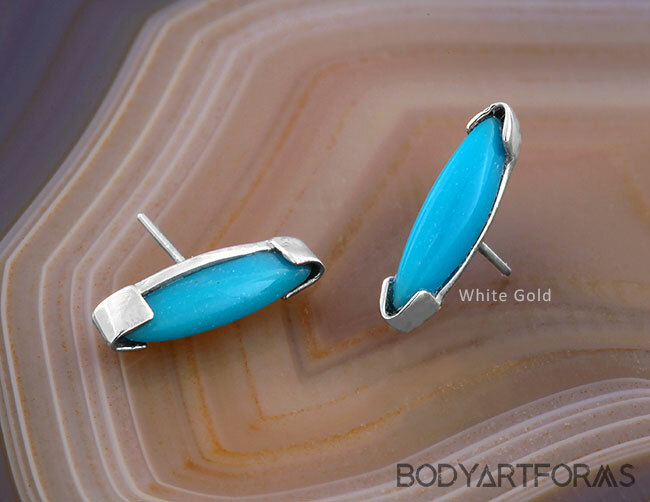 The Seed end design measures approximately 11.8mm tall by 3.5mm wide and is made with genuine turquoise.